This hop makes a circle so you can start and end where you like. 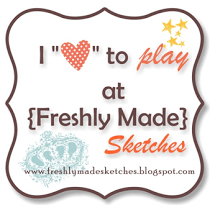 If you have already started, you should be coming from Janet McCormick’s Blog. There has been a lot going on at our house lately and I haven’t had much time to scrap. This is a project that has been sitting on my desk for a long time and I am happy to have it done. Old: Parlor Velvet Rubons, My Creations Recipe/Photo Box, Art Philosophy Cricut cartridge, and Grey Wool cardstock. 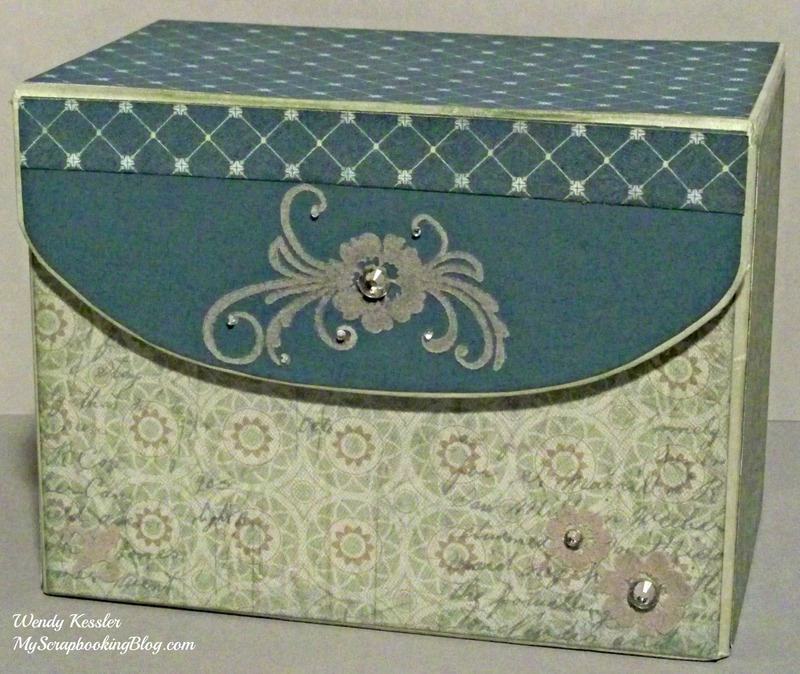 New: Avonlea Paper Packet, My Creations Recipe/Photo Box, Cricut Craft Room, and Black/Grey Sparkles. These My Creations Recipe/Photo Boxes now hold our 2012 vacation photos. We took a lot of pictures that I wanted to print but I didn’t want an entire album of pages. 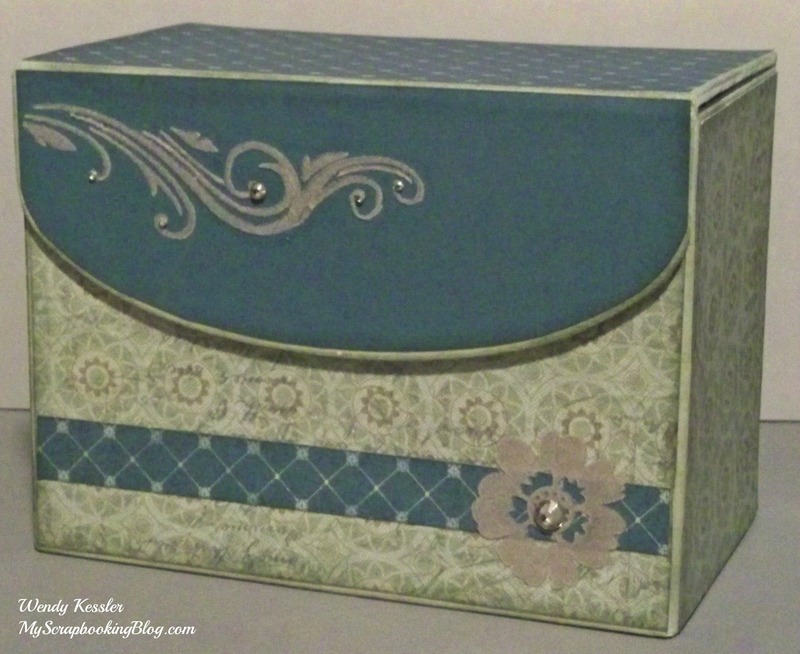 I consider the My Creations Recipe/Photo Box both old and new because I have had one for a very long time. They are still available and I ordered a second one when I got my pictures and realized there were more than I thought. The Art Philosophy Cricut cartridge is also still available but I have used it so much I consider it and oldie. 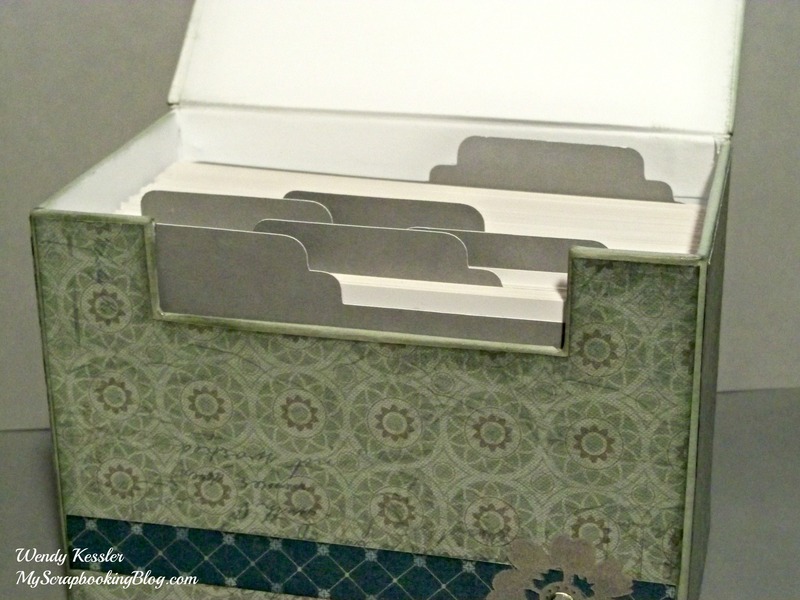 I used Cricut Craft Room to create the tabbed index cards. These separate the different places we went and I plan to journal on the front of each card. Joy McHargue’s Blog is your next stop! Gorgeous! Great job on the dividers inside too. Great project, Wendy! I love how you blended the old and the new. Your photo box is beautiful. The index tabs are great, I will have to try that. I, too, love the Cricut Craft Room! Love your tabs! Good for you to finish this up so nicely. Lovely.